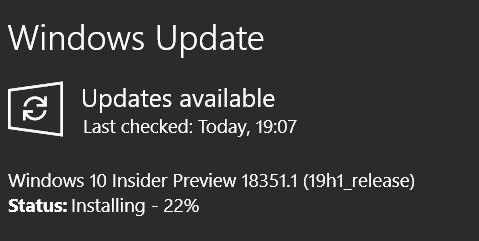 Hello Windows Insiders, today we are releasing Windows 10 Insider Preview Build 18351 (19H1) to Windows Insiders in the Fast ring. If you haven’t been able to get the game State of Decay for free (for a limited time), we’ve just made more slots available! Whether you’ve tried it in earlier builds or haven’t had the chance yet, these instructions have everything you need. We’ve also made fixes to improve the download and install experience thanks to your feedback, so please try again if you had problems before. 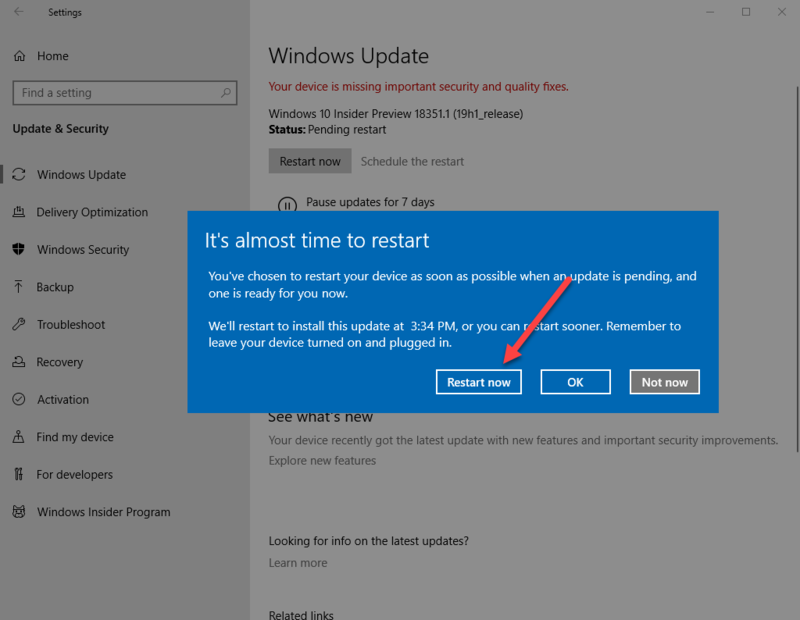 Due to a Narrator reading reliability issue for the “Change how capitalized text is read” feature, the feature has been disabled starting in build 18351. We fixed an issue where the mouse pointer color might be incorrectly switched to white after signing out and signing back in. I will try it now but I will do no cleaning in my VM before giving it a go, if that fails I will try again tomorrow after a clean up. Same here and do it in safe mode! I am not doing it in Safe Mode yet, we will see if it makes a difference. Alrighty I will try in Safe Mode and give that a whirl. I'll let you all know what happens. So far it's fast; but we will see if it will finish the install? 11 Minutes so far! That sounds like bad news then again. My download is at 97% now. Thanks for the warning..darn..this is bad! I'm at 64% Downloading. 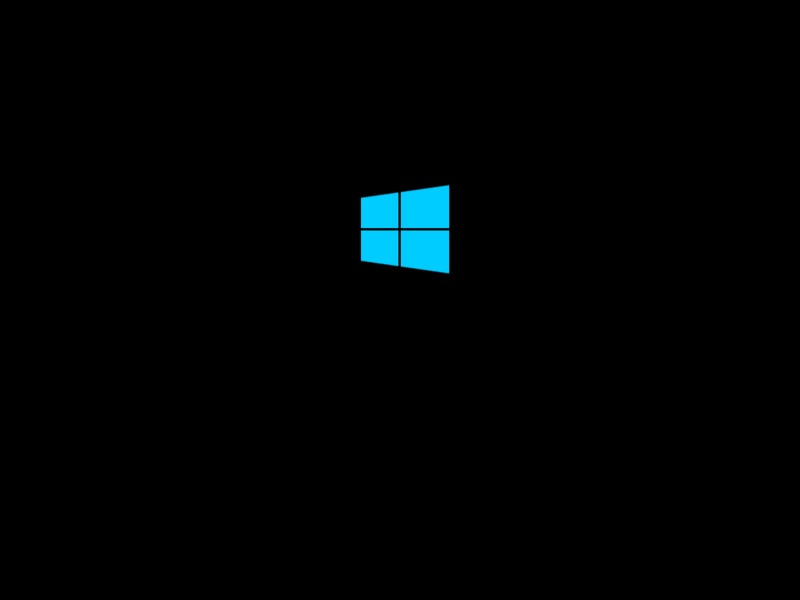 I went and deleted Software Distribution in Safe Mode. 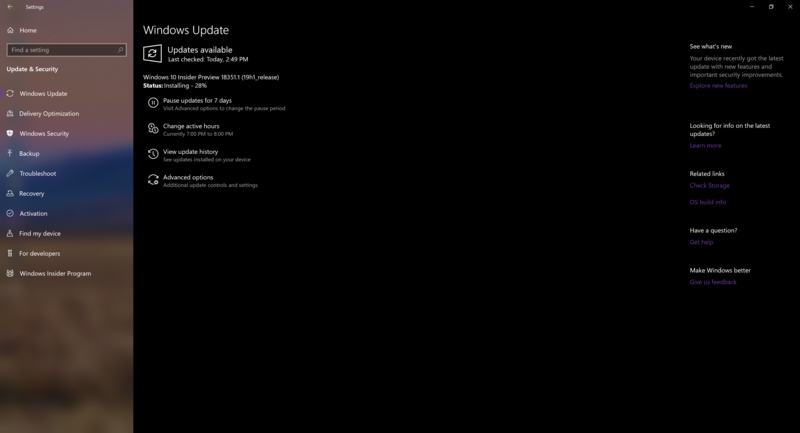 Well I even checked for a VM update just encase it's the VM but there isn't one. 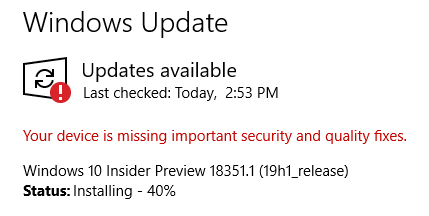 Maybe Microsoft doesn't like updating VMs anymore. I might just have to pause this update like I did the other one if it's going to freeze up again..
Just the same for me Daniel, no luck at all.